Made with snaps for interchangeable buckles: Just snap off and snap on. 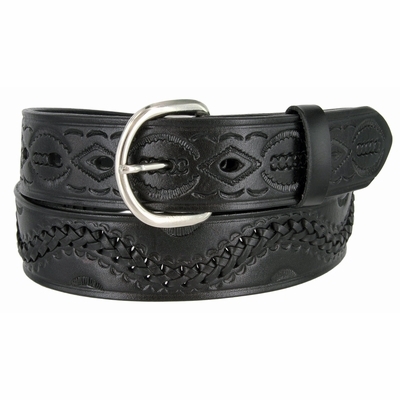 Basket-weave embossing with hand-laced Braided pattern stitching in leather. 1-1/2" Wide with our easy snap system to interchange your favorite western buckles.